Hospice is a philosophy of comprehensive compassionate and dignified care for terminally ill patients and their families. When a cure is no longer available, our specialized care teams provide comfort measures that allow patients to enjoy their life to the fullest. While we may not be able to add days, months or years to someone’s life, we delight in the knowledge that we can add life in whatever amount of time they have left. Anyone with a limited life expectancy due to poor prognosis can be evaluated for hospice services at no charge. Also, anyone can make a referral to hospice. A patient may even self-refer to hospice. Regardless of who or where the referral comes from, our admission team will work closely and immediately with the referral source to expedite evaluation and/or admission of the patient. Hope Hospice has many referral sources in the community – hospitals, convalescent homes, assisted living or board and care homes, medical offices, physicians, discharge planners and social workers to name a few. Our paramount focus is centered on alleviating pain, the burden of physical care, and other symptoms without excessive mental or physical incapacitation to ensure the patient’s comfort and dignity. We encourage all ongoing and emotional support of the patient and family caregiver(s). Lastly, we support a patient’s participation in the development of a personalized care plan which enables them to remain at home whenever possible and affords them the opportunity to enhance family relationships. Our interdisciplinary team works closely with the patient’s primary care physician to develop a personalized plan-of-care. Invite us into your homes and allow us to bring HOPE sprinkled with love, compassion, comfort and dignity at the end of life. Hospice serves anyone with a life-limiting illness, regardless of illness. For answers, call us at (951) 679-8872 or Contact us by clicking here. The word “hospice” comes from the Latin word hospes: meaning to host a guest or stranger. Also, it is from the same linguistic root as hospitality and can be traced back to medieval times when it referred to a place of shelter and rest for weary or ill travelers on a long journey. Today, the concept of placing terminally ill patients in a loving and caring environment is core to all hospice organizations offering end-of-life care. The first modern hospice, St. Christopher’s Hospice, was founded in a residential suburb of London in 1967. Dame Cicely Saunders, a physician, pioneered the specialized care for terminally ill patients and their families. Her life’s work and teaching regarding holistic hospice care became the basics of the development of hospice care as we know it today. Through the years Congress has passed a series of legislation supporting hospice initiatives. 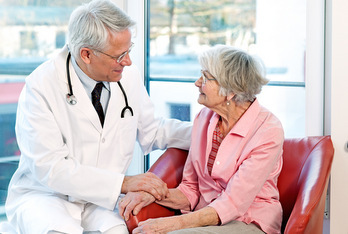 In 1982, Congress provided a provision to create a Medicare Hospice Benefit. Adopted in 1986, the provision was extended as an option to state Medicaid programs. In 1993, hospice was recognized as a nationally guaranteed benefit and hospice became an accepted part of the health care continuum. Today, the hospice philosophy and concept of care are central to models for palliative and end-of-life care. Hope Hospice follows that tradition with a regimen of loving care, interaction, support and compassion for patients and families.